Imagine a classy soiree or social rendezvous where you are in your most gorgeous self, holding a cocktail glass and having a hearty conversation. Suddenly you catch someone staring at your bitten nails making you feel embarrassed. Now you are suddenly conscious of your subconscious mistake. Often we unmindfully end up abusing our nails. We bite them, pick them or end up pulling the skin around them. At least once in our life, we all experience that nail-biting moment. Sometimes a nerve-racking examination, a stressful job interview or even the ultimate result of a match can easily get us gnawing our nails. For some, it is a way of concentrating when reading or thinking whereas for others it is just an activity pursued out of sheer boredom. And when it comes to watching a suspense-thriller movie, we always find ourselves at the edge of the seat, anxiously biting our nails while contemplating the next scene. And it is not only you and me who are the victims but even the world famous personalities fall into this vicious habit. But do you know that nails are like the mirror which clearly reflects your personality and other characteristic traits. Our nails can reveal a great deal of information about our health and lifestyle. So let us make some conscious effort to stop nibbling and abusing our nails and keep them neat and flawless. Here are some ways to help you get started. Cultivating mindfulness is the first and foremost means of getting rid of bad habits. Often we are not fully aware of what we are doing and our mind keeps fleeting from one thing to another. And the result – chipped off nail paint, skin on the lips chewed and, of course, the bitten nails and pulled out cuticles. Being fully aware of what we are doing at all times can prevent us from subconsciously engaging in biting, pulling or picking our nails and other unwanted habits. In the beginning, it is tough but don't get bogged down easily. Practicing mindfulness will not only help you stop your habit of nail-biting but also will make you more focused and aware of the present moment. Thus every time you are about to abuse your nail, your attentive mind will consciously prevent you from doing so. What makes you bite your nails? It is important to identify what are the main triggers of nail biting. It can be stress, boredom, anxiety, nervousness or just a bad habit you could not get rid of. Sometimes nail biting is also related to Obsessive-Compulsive Disorder (OCD). Pay attention to the factors that set you biting your nails. Next time when you are facing one of the mentioned conditions, restrict yourself from popping your fingers in your mouth. It is very difficult to give up nail-biting, but one has to be extremely determined. No one but only you can prevent yourself from destroying your fingers. You have to persuade yourself to stop putting your finger between your teeth or destroying the cuticles. Be strict with yourself. Remember, acquiring bad habit takes no time but getting rid of them is a challenge and needs a strong will-power. In order to keep your mind busy at all times, engage yourself in productive activities. When bored, try reading a book or take up some creative activities. When caught in a dull lecture, doodle in your notebook, make random sketches, dismantle your pen, make a paper boat – do whatever you want to but don't bite your nails. When anxiety takes over and you feel stressed, engage in deep breathing exercises. This will not only control your urge to pick and bite your nails but will also help you calm your mind. I am sure that at some point in time we all have owned that yellow stress ball with a smiley on it. But sadly it always ended up inside the drawers. 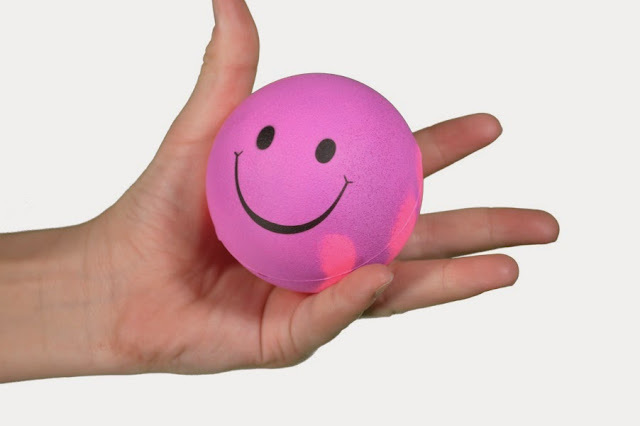 Stress balls are a great way of keeping our hands engaged and our mind off nail-biting. So when watching TV or sitting idle, instead of munching on your nails, use a squeeze ball to dodge that habit. If you have a problem controlling your urges to bite, chew or pick your nails, turn your attention to any one nail. Let that one nail be the victim of your aggression and leave the rest to heal and grow gradually. 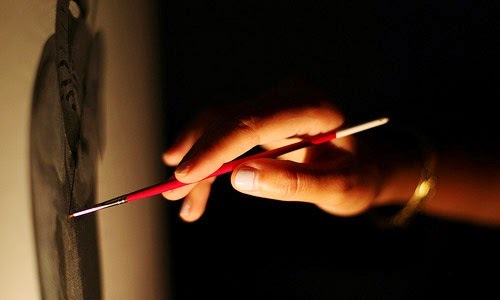 One fine day when you will notice how pretty your fingers look with proper cuticles and unbitten nails, you will stop biting that one nail as well. 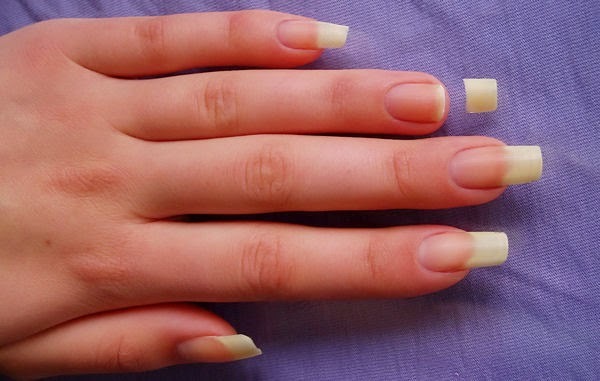 This technique is very effective to curb your nail biting habit. Start applying nail polishes and keep your nails covered with nail paints at all times. 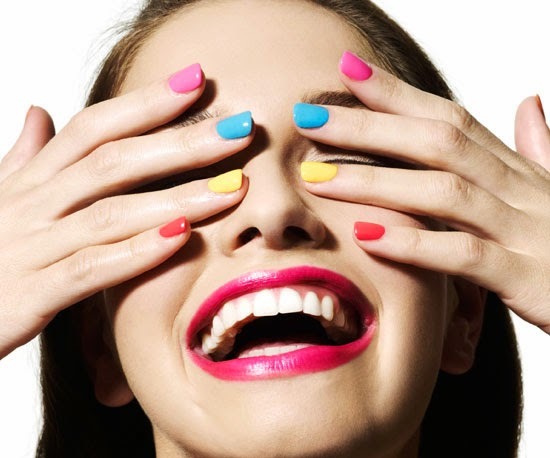 When you look at nicely coloured nails, you will not feel like messing them up anymore. Apply bright colours like red, pink or even black. And even if you unmindfully pick or tug your nails, the paint will come off without damaging your nails. If nail paints are not your thing, you can always opt for colourless nail lacquers which are even more effective as they have a repulsive taste. They are available in the pharmacy or you can order them online. Now every time you want to bite your nails, you will be reminded of your bitter experiences. The best way to treat your nails is to get regular manicures. You can indulge in elaborate nail cleansing and caring routine at home from time to time. Take the time to clean, trim and polish them. And occasionally spoil yourself with a visit to the salon for nail spa and professional manicures. When you spend money and time on the maintenance of your nails, you will not be very keen on destroying them anymore. After all, it is not worth it! If you find the above-mentioned techniques difficult to adopt, then try covering your hands with gloves or wrap adhesive bandages around them. This way, your nails won't be exposed and biting them will be impossible and an uninteresting affair. Damage caused over a period of time cannot be undone overnight. 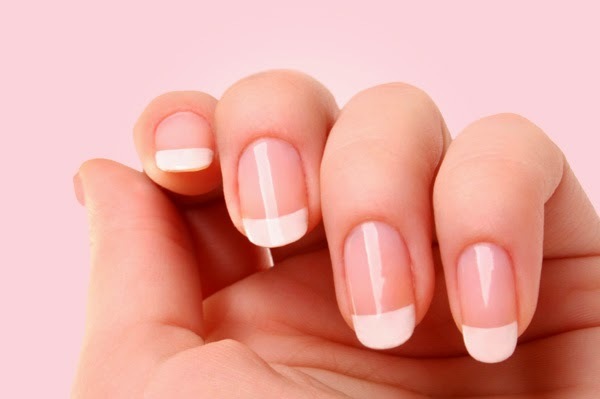 Give your nails the time to recuperate slowly. Don't feel discouraged. With daily care and nourishing, it will come back to its healthy self. This is an important problem to be addressed. Most of do it unknowingly and these tips are helpful! Nail biting is absolutely on impulse. Hence being aware is very important.